Enter your desired parking date on the booking screen and reserve your parking space in advance at our discounted online rates. If you have a promotional code, you can redeem it immediately. Hold the barcode (printout or mobile phone) up to the barcode reader at the entry barrier. In exchange, you will receive the exit ticket for your booked parking period - please keep hold of this ticket! If the QR code is not recognised by the reader, please press the info button on the entry barrier. You can drive in with a valid QR code up to 2 hours before the booked parking start time. Our parking prices include the direct journey to the departure terminal on our Airport Shuttle. Our shuttle departs every 15 minutes at peak times and every 20 - 30 minutes at off-peak times. Upon arrival, take the Airport Shuttle to your car quickly and easily: Take the exit directly by the McDonald´s Restaurant. The Airport Shuttle Bus departure point is located at bus station 1. Your previously received exit ticket will automatically open the barriers. 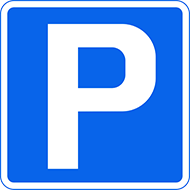 Should you exceed the booked parking period, please validate your ticket at one of the pay machines in advance. Alternatively, you can conveniently pay the additional parking fee by credit card at the exit barrier. Park directly at Vienna Airport at the Mazur car park at the lowest price. The Mazur car park is open 24 hours a day, 365 days a year. Parking spaces can be booked up to 12 hours before the entry time. Arrive at the terminal in comfort with the free Mazur shuttle service, which takes just 10 minutes. With Mazur, you always have a guaranteed parking space. The Mazur shuttle service takes you to your terminal every 15 - 30 mins. Within 14 days after completing your online booking. Will I receive an assigned parking space with my reservation? You will not receive an assigned parking space, but we guarantee that there will be an openparking space/parking garage. Will I receive an invoice for the parking space reservation? For reservations up to EUR 400 (including VAT), the reservation confirmation functions assmall-sum invoice (according to § 11 Para. 6. UStG.). I am not going to keep my reservation. Do I still have to pay for the parking space? If you do not keep your reservation and do not cancel in time, you are required to pay thebooked amount. There are no refunds for the amount paid at the time the reservation wasmade. I did not receive a reservation confirmation by e-mail and did not save my reservation reference number. What should I do? Please check if the e-mail may have been directed to your spam folder. If you did not save your reference number, please contact us and provide your e-mail address and the start and end of the parking period using our contact form on the homepageor by telephone; our staff will send you your reservation confirmation again. A promotion code is given out in conjunction with an advertising campaign. You must enterthe promotion code in the “Promotion Code” field when making your reservation. Thepromotional offers will be displayed. All offers listed on our homepage may be booked without a promotion code. How far ahead of time may I reserve a parking space? You may reserve a parking space by 12:00 before the planned start of the parking period. Do I have to reserve a parking space in advance? An advance reservation is not required. Please keep in mind that making a reservation inadvance allows you to use special offers that may reduce the price in comparison with thenormal price. May I cancel a parking space? Cancellation of a reservation is possible in accordance with point 5 of the General Terms andConditions. You may not change your reservation to a different date. May I change a parking space? It is not possible to change your reservation to a different date. May I change the selected parking garage / selected parking space at a later time? It is not possible to change your selected parking garage / parking space. To do so, you mustcancel your reservation and make a new reservation. Reservations may not be combined with each other (for example, you may not make tworeservations for 4 days using a special offer and park for 8 days). Only one reservation ispermitted per parking transaction. As a person with a disability, do I have to reserve a parking space? May I enter after the end of the reserved parking period? Eine Einfahrt ist auch nach dem gebuchten Einfahrtszeitpunkt möglich. Der gebuchte und bezahlte Parkzeitraum verlängert sich jedoch nicht entsprechend. Für den nicht wahrgenommenen Parkzeitraum wird kein Entgelt erstattet. May I enter and exit the parking area multiple times? No. You are only permitted to enter and exit the parking area once. May I enter before the start of the reserved parking period? You may enter up to 2 hours before the start of the reserved parking period. What should I do if I took a ticket when entering but I did not provide authorization with the barcode? If you mistakenly took a ticket, you may leave the parking area within 10 minutes and enteragain using the barcode. How do I enter the parking space? Please hold the barcode (print or mobile phone) in front of the barcode reader at theentrance gate. You will receive a parking ticket in exchange, which functions as the exitticket. Please store this parking ticket so it is protected from light, heat and moisture. Followthe guidance system and choose the nearest free parking space. What should I do if the reader does not recognize the QR code? Please be sure to press the information button on the gateway column. You will be connected with our staff who will be happy to provide you with further assistance. Please take a short-term parking ticket only if our staff asks you to do so. I lost my parking ticket. What should I do? Please contact our staff using the information button (which can be found at all entrance andexit gates and the automated pay stations); our staff is available 24 hours a day 7 days. Youwill receive a replacement ticket. What should I do if I have exceeded the booking period? If you have exceeded the booking period (for example because of a late return flight), theadditional time will be charged based on the displayed parking rates. Payment can be madeusing a credit card at the exit column, or you can do this at the automated pay station. Pressthe receipt button if you would like a receipt. Will I receive a refund if I exit before the end of my reserved parking period? Do I need to use the automated pay station before exiting? No, there is no need. You may drive your car directly to the exit. How do I exit the parking lot? After inserting the parking ticket at the exit column, the gate will open automatically and youmay exit. What should I do if something was incorrectly invoiced? What should I do if there are problems? There is an information button on all the entrance and exit gates, which will connect you withstaff at our parking headquarters. Staff is available 24 hours a day 7 days a week to answeryour questions. I forgot my password, where can I request a replacement? You may request a new password under “My Account.” Enter your e-mail address under “Forgot Password.” You will receive an e-mail shortly with a link to reset your password.